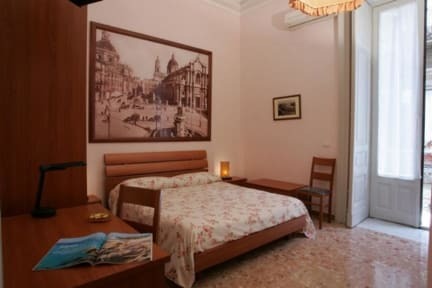 B&B Picone i Catania, Italien: Reservér nu! 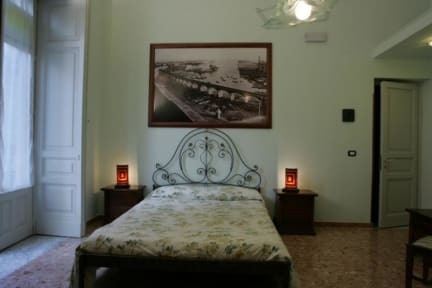 The B&B PICONE is situated in the heart of the historic center of Catania, in the Umberto I Street, in a big and shining apartment, totally restored (4 rooms with balconies, inner bathroom, internet wireless, TV and air conditioned), at the first floor of an ancient building of the first of the 1900s, at few steps from the important city street, Etnea Street, with its splendid Baroque, the big lave-stone pavements and the elegant shops. There is city tax of EUR 1.50 per person per night (maximum 3 nights).